This year's theme is Torn from home. 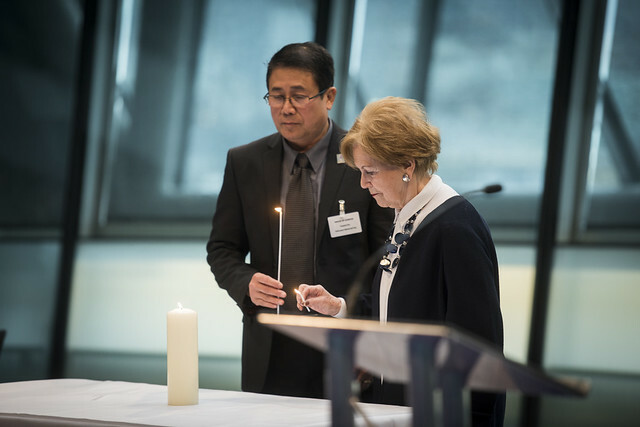 The ceremony will commemorate victims of the Holocaust and reflect upon those affected by more recent genocides. This year also marks the 40th anniversary of the end of the Genocide in Cambodia and the 25th anniversary of the Genocide in Rwanda.